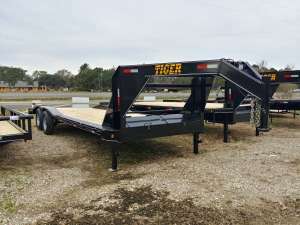 We carry a full line of Car Haulers, Enclosed Trailers, Cargo Trailers , Equipment Trailers, Utility Trailers, Painted Storage Buildings, Wood Movable Buildings, Metal Carports, Awnings, Portable Hunting Camp Buildings, All Metal garages and Workshops. and much more. 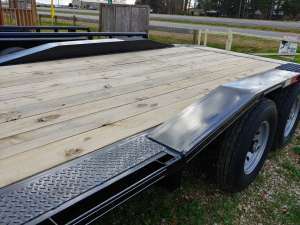 Buy this cargo trailer, and we will also include a FREE spare. Looking for the perfect shed? We've got a wide selection of portable buildings, including this 12x20 utility shed. Come in to Delta Home Center today to check out all of the options available to you. If you're in the market for a gooseneck utility trailer, Delta Home Center is the only stop you'll need to make. We carry goosenecks in many sizes, strengths, and options. If you don't find one on our lot that will fit your needs, we can custom order one for you, directly from the manufacturer. We can order one in any color, with slide ramps, stand up ramps, dove tail, drive over fenders, pipe top, expanded metal sides, and more! Just let us know what features you're looking for, and we can help you out. 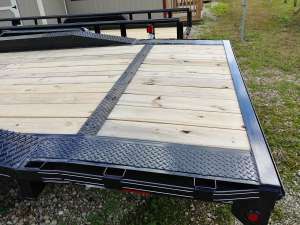 We specialize in custom trailers, and making our customers happy. Looking for a dump trailer? Come in today to special order the perfect one to fit your needs! We've got all of the standard features you're looking for, like double doors, ramps, 7K axles, two brakes, 6in channel frame, diamond plate fenders, 2 5/16 coupler, 7K Drop Leg Jack, standard 2 foot solid metal sides, 10 ga. floor, stakepockets, LED lights, and safety chains. The 12 footer has one cylinder and the 14 footer has two. Looking for more add-ons? We can help you there too! You can order one with a manual or electric tarp. You can order higher side walls. You can order a scissor lift or a combo gate. Even swivel D-rings or a pull hitch. They sky's the limit. 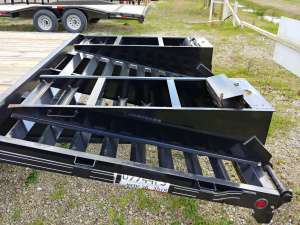 Come in today to Delta Trailer Sales to order the custom dump trailer to fit fit your needs-- and budget.